SparkPost gives AWS development teams a powerful email API with rich analytics features that make it easy to send email notifications and work with email data in AWS apps—and to ensure emails arrive on time and to the inbox. Subscribing via AWS Marketplace helps save time and hassle by consolidating services on a single AWS bill. AWS customers and other demanding senders rely on SparkPost to deliver billions of emails every day. That’s more than 37% of the world’s business email. 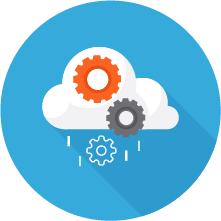 Powerful templating, multiple webhook addresses, and multi-account features let you build AWS applications that engage, retain, and rapidly grow your user base. 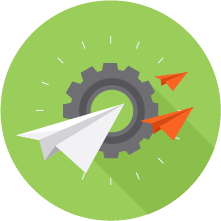 Easily embed email into any app or website with SparkPost’s REST and SMTP email APIs. Native libraries for most popular languages used by AWS developers, including NodeJS, Python, PHP, C#, Java, and Go help your development team hit the ground running. Missing or delayed emails lead to customer churn. SparkPost offers unmatched inbox delivery and reliability backed by an enterprise SLA. Our enterprise-grade reliability and security complements the elastic scalability and robust security customers benefit from AWS itself. AWS customers now get simplified sign-up, with the subscription consolidated onto one AWS bill. A SparkPost subscription made through AWS Marketplace can even help you maximize savings by contributing to consolidated billing volume discounts. SparkPost is an Advanced Technology Partner in the AWS Partner Network (APN), the global partner program for Amazon Web Services. Together, SparkPost and APN are focused on helping our customers build successful AWS-based applications. SparkPost itself runs and is built on AWS. Get started today and see how SparkPost delivers your AWS application’s emails on time and to the inbox.